Established in 1966, Tzu Chi Foundation is an international non-profit humanitarian organization with four major missions: charity, medicine, education, and humanistic culture. The foundation also engages in international disaster relief, bone marrow donation, community volunteerism, and environmental protection. Today, the international non-profit organization has offices and chapters on all five major continents and provides aid to more than 69 nations worldwide. 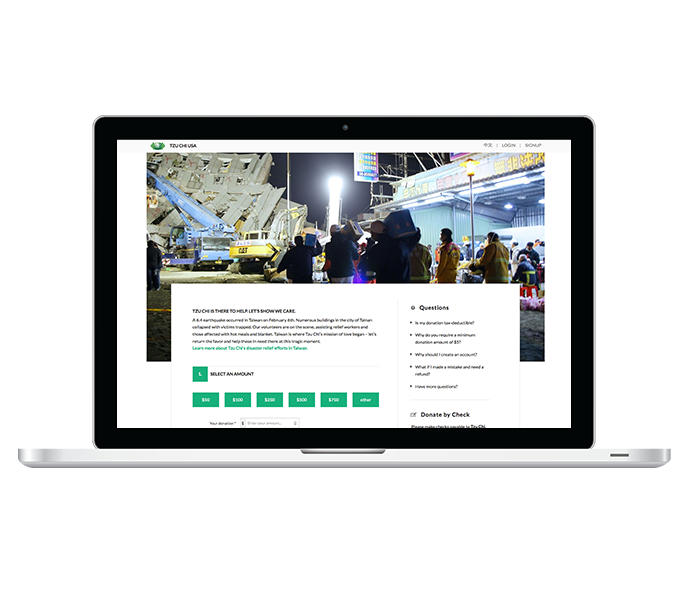 Because of Tzu Chi’s global outreach and missions to provide charity, international relief, education, medicine and humanity, and recycling to communities in need, they also needed a powerful website that could help educate visitors about the Foundation’s missions and assist in the solicitation of donations. While Tzu Chi is the largest charity organization in the Chinese-speaking community worldwide, the Foundation has been looking for a way to engage United States donors in a meaningful way. 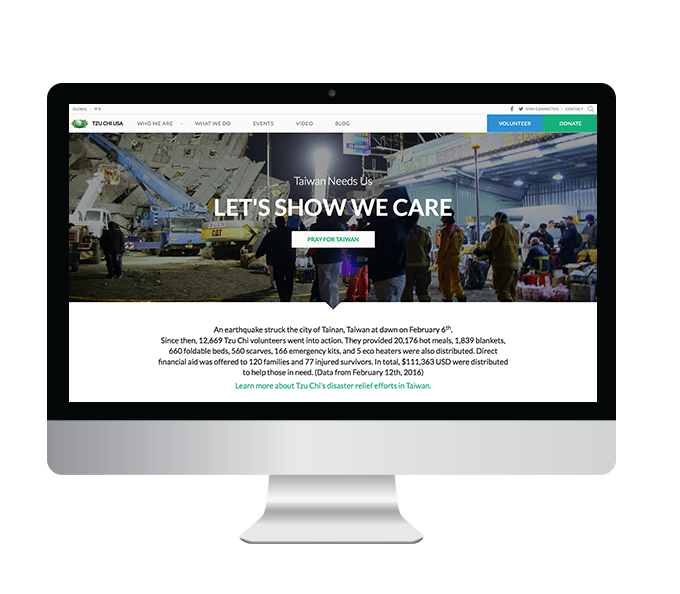 Tzu Chi came to Logic Solutions to develop a website that would help convey the organization’s belief that small amounts of money can turn into great love and have tremendous effect on those who are suffering. Logic Solutions developed a new mobile-friendly site in WordPress. Central to Tzu Chi’s powerful, modern design is a simple donation system. Visitors can make donations of any amount through PayPal, by credit card, or by check. 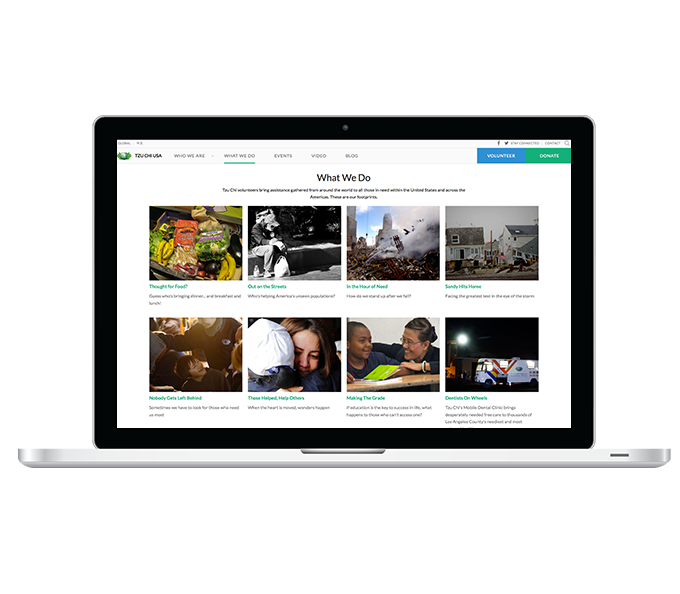 The site features beautiful imagery, human stories, and videos. Additionally, the site has features responsive web design and uses vertical sliding sections and parallax to enhance user experience. An intuitive content management system allows Tzu Chi’s non-technical staff to easily update and make edits.